The first thing you should do when puppy proofing your house is to go room to room on your hands and knees. Look at the things in your home from your puppy's perspective. Think about what is at that level that may be interesting to him. You may be surprised to find many things that are potentially dangerous that you never even thought of before. One thing you should be aware of in your household is the location of electrical cords. Make sure to limit your puppy's access to these areas. Puppies can chew through cords and get electrocuted causing serious injury or even death. Wrap cords up and store them away or lay down rubber or plastic runners that can be purchased at most home supply stores. Be aware of small objects that are located around the home, on coffee tables and other surfaces that are accessible to your puppy. 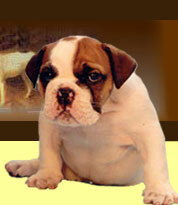 Just as with small children, puppies can choke on items like coins, needles, jewelry and small toys. Make sure to keep these kinds of items out of your puppy's reach. Always limit your puppy's access to the bathroom. Bathroom garbage is very tempting to chew on. If your dog were to swallow some dental floss or feminine products, this could be very harmful to them. Puppies also are curious about toilets. Small pups could fall in an open toilet and drown. Make sure to keep your bathroom door shut at all times, or install a baby gate at the entrance to your bathroom. The same can be said for the kitchen and kitchen garbage. House plants are another concern when it comes to puppies. Most dogs are very attracted to plants and many household plants are toxic to animals and can cause nausea, vomiting, and in some cases, death. Always make sure to keep house plants away from your puppy's reach.